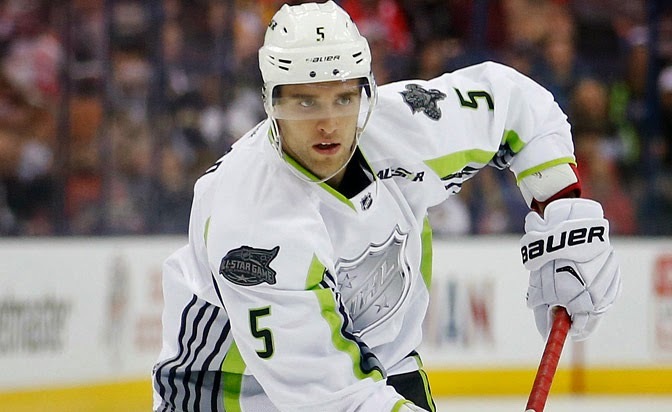 Aaron Ekblad's (@Ekblad5FLA) first #NHL All-Star game! (Plus a stupid photoshop) @FlaPanthers - Very Barrie Colts | A website covering the Barrie Colts of the OHL. Last night, Aaron Ekblad "competed" in his first NHL All-Star Game. We can assume he will be in MANY more in his career. Ekblad was on Team Toew's" who won the game 17-12 over "Team Foligno". The game's 29 goals beat the existing All-Star game record for most goals in a game which was 26 going into last night. The old record happened in 2001 when the NHL used the "North America vs The World" format. That game was in Denver. Ekblad was not only on the winning team but he had a decent night as far as point production putting up 4 assists. He also logged 18:37 worth of ice time and blocked 2 shots. Someone should have told Aaron that he didn't need to risk injuring himself blocking shots in the All-Star game but you can't hate on the kids compete level! 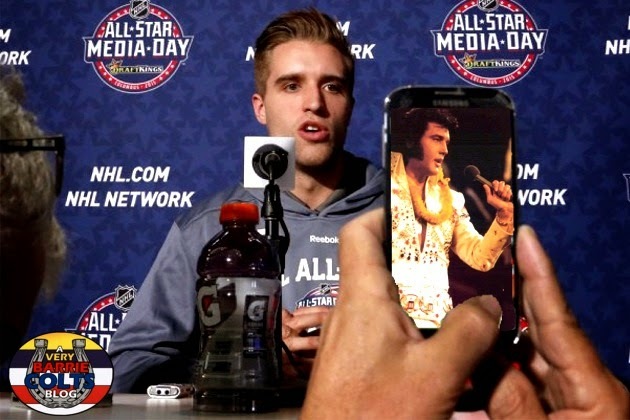 During interviews with the media, Ekblad did his Elvis impression. Amazing how well this one phone translated how good of an impression it was! Aaron has not looked so good since we photoshopped a car head on him in his days with the Colts! We would like to congratulate Ekblad on making the All-Star team, and representing not only his Florida Panthers well but also all his fans here in Barrie still cheering him on!